After renal ischemic reperfusion injury, a series of pathological changes, such as impaired intestinal barrier function, intestinal flora, and endotoxin translocation, are caused by intestinal ischemia and hypoxia, which then trigger systemic inflammatory responses and affect the condition and prognosis of the patients. 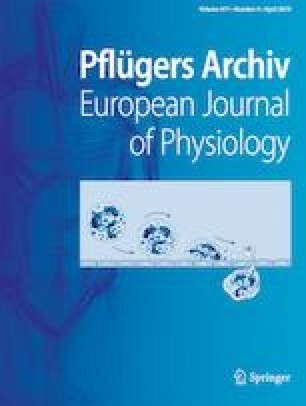 In this study, a rat model of ischemia-reperfusion injury was established by examining changes in renal function, intestinal barrier function, inflammatory index, oxidative stress, and macrophage phenotypes to evaluate the effect of probiotic VSL#3 on renal ischemia-reperfusion injury. The results showed that, after VSL#3 intervention, the levels of BUN, Scr, Cys C, PRO, and NGAL were all significantly decreased compared with the I/R group, while the value of Ccr showed a significant increase. In addition, the concentrations of MPO, IL-1β, TNF-α, IL-6, ED-1, and PCNA were all significantly lower than those in the I/R group, while the levels of endotoxin, DOA, and d-lactic acid were significantly decreased. Furthermore, the proteins associated with intestinal barrier functions, such as ZO-1, Occludin, and Claudin-1, were significantly upregulated compared with the I/R group. Overall, the VSL#3 intervention group was able to maintain the required number of beneficial intestinal flora and to inhibit the proliferation of harmful bacteria. At the same time, the VSL#3 intervention could also prevent the decrease in the levels of CAT, GSH-PX, H2O2, and T-SOD, while downregulating the expression of Keap1 and Nrf2. After the intervention with the VSL#3, the expression levels of CD68 and CD86 proteins were significantly decreased, while the expression levels of CD163 and CD206 proteins were significantly higher. Further experiments confirmed that the expression of iNOS protein was significantly decreased after the VSL#3 intervention, and the expression of Arg-1 and Ym1 proteins was significantly increased. The VSL#3 was able to induce high expressions of p-GSK-3β and p-PTEN proteins, while the use of IL-10 antibody impaired the effect of the VSL#3. In summary, this research confirms that probiotics can alleviate renal dysfunction caused by ischemia and reperfusion by protecting the intestinal barrier function and maintaining the functions of intestinal flora. The pathway screening test of this study suggests that IL-10/GSK3β/PTEN may play an important role in the process of the prototypic VSL#3 inducing M2 transformation of macrophages. This work was supported by the scientific and technological project of Shaanxi Province (No. 2016SF-246); the National Nature Science Foundation of China (No. 81670681); and the Major clinical research projects of the First Affiliated Hospital of Xi’an Jiao Tong University (XJTU1AF-CRF-2015-005).